Now that spring is here there’s no better excuse to do a big wardrobe clean out. I always like to do one at this time of year to ensure that I’m utilising my closet space with pieces that I truly love and use often—otherwise I’m just losing precious real estate that could otherwise be occupied by new purchases! That said, it’s also great to take stock of everything to see what gaps I currently have and what I’ve got way too much of so I know what to look for when I’m shopping. Also, it reminds me of old favourites that I can incorporate into my fashion repertoire. If you’re about to embark on a clear out, take the opportunity to weed out the below items from your wardrobe and donate them to charity so someone else can make better use of them. After this process I guarantee you’ll rediscover clothes that you’d forgotten about and in turn create some fresh looks that will make everything you own feel new again. You know what I’m talking about—these are the clothes that you’re saving for “someday”. So whether you’re bookmarking something for that time when you reach your ideal weight or are hanging onto an old dress in the hopes you may wear it to an event down the track (even though you’ve been to multiple occasions and didn’t even think to pull it out) then it’s time to be brutal and say goodbye. If something is a bit loose you can either get rid of it or if you think you’d actually get a lot of wear out of it if only it fit, then make the effort to get it tailored. If the problem is that it’s too tight then it’s time to bid it adieu. You want your clothes to sit well and flatter your shape not look like you’re squeezing yourself into something that just doesn’t work. There are some things that obviously don’t fall into this category such as a wedding dress, but generally if you’ve managed to get through four seasons without once reaching for a particular garment then it’s a good sign that you can live without it. 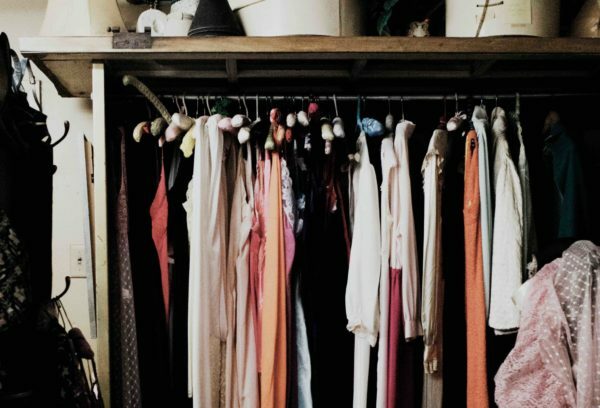 There are some things that you may be keeping in your closet as they need a few repairs. Pull all these items out and take the pieces that you actually want to keep and wear to a tailor to see what can be done. For anything that’s not able to be fixed, instead of binning it, try recycling it. There are certain organisations that take clothes that are in poor condition and recycle them into things like rags, insulation or stuffing. Do a quick Google search to find a place near you.